It was once unbelievable to think you could explore the world while sitting at home and clicking the buttons on your devices or tapping the screen. People say that it was millennials who killed shopping in big malls, but the e-commerce boost is the result of the rise in the impact of the Internet and the prayer of society for efficient time spending. That’s why if we talk about the trends in the Internet’s development, it will be better to look from the perspective of e-commerce and analyse what influence legal and legal-related aspects have on this sphere. As per information from Statista1 it is anticipated that worldwide e-commerce will demonstrate 246.15% growth until 2021 compared with its volumes in 2014 (from USD 1.3 trillion in 2014 to USD 4.5 trillion in 2021). Meanwhile, 7 out of 10 average EU consumers bought goods on the Internet2. In Ukraine e-commerce is also enjoying constant growth: in 2017 about UAH 50 billion was accumulated in this sphere, which is 30% higher compared with the figures of the previous periods. It is expected to get UAH 65 billion of the e-commerce market in 20183. Initially e-commerce was like a cyber porto franco, without local or international regulation. The first step towards regulating e-commerce in Ukraine was approval of the Law of Ukraine On E-Commerce in 2015. E-commerce growth demonstrated step by step all the aspects that urgently need legal regulation: сyber-security issues, data protection and e-privacy, IP rights, consumer rights, antitrust. Now nobody can afford to be ignorant of the legislation governing various issues related to cyberspace. In spring 2017 the Law of Ukraine On State Support to Cinematography in Ukraine was adopted. 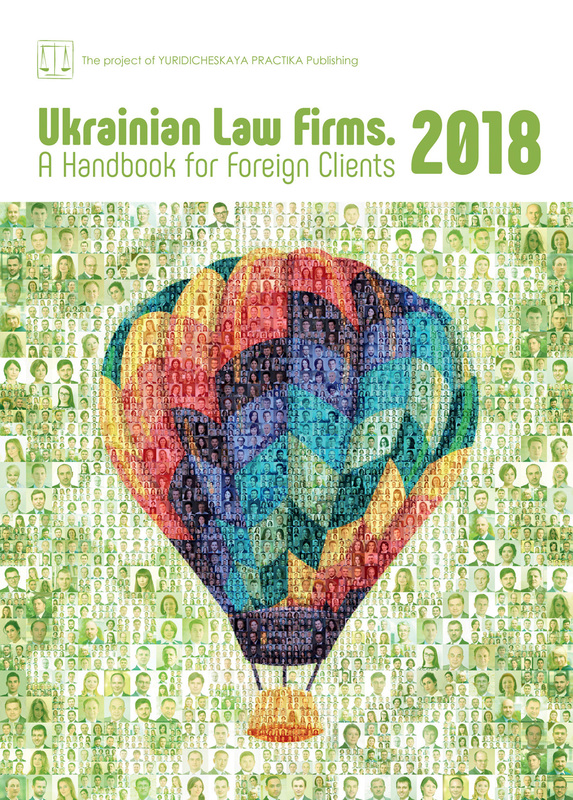 The Law provided for the long awaited in Ukraine procedure for out-of-court settlement of copyright infringement claims in Ukraine, namely the notice-and-takedown procedure. The procedure gives a legal avenue for the immediate blocking of offensive content with subsequent filing of a copyright infringement action to the courts. Otherwise, the content will be then released. The procedure is intended for computer programs, music, audiovisual works, video, phonograms, broadcasts. So in the event there is some advertising video infringing IP rights, the notice-and-takedown procedure may be applied. Unfortunately, these procedures may be used unfairly to put pressure on successful e-commerce businesses. But we believe that the “fairness criteria” should be core and dominant for use of this mechanism. The relevant court practice on the notice-and-takedown procedure has not been established yet. In May 2017 the Decree of the President of Ukraine4 initiated blocking of Russian web-sites (Yandex, Mail.ru, VKontakte and others) and all related services pursuant to the strategy of national security and intensification of sanctions. Currently such measures are in place for 3 years only. In view of this, the goods and services which were provided via these web-sites, became unavailable for users from Ukraine. The blocked web-sites were not top-ranked in Ukraine in the marketplace category, but had a considerable impact on Ukraine’s e-commerce sphere5. — the economic part of the EU-Ukraine Association Agreement came into force containing provisions of liabilities of intermediaries. On 1 September 2017 the economic part of the EU-Ukraine Association Agreement came into effect6. It echoes the EU’s e-commerce directive and excludes liability of those intermediaries mostly in the event that they have not, and may not have, any chance of influencing processes leading to infringement of IP rights. Actually, these provisions extend Ukrainian legislation governing the liability of intermediary service providers, which were reflected in the Law of Ukraine On E-Commerce. Still, from the standpoint of e-commerce, these provisions do not help much in defining the legal status of marketplaces, like Alibaba, Amazon, Olx.ua, Prom.ua. Marketplaces which create online platforms for B2B, B2C, C2C models are not engaged in online sales, but create the platforms operated under certain rules as defined by the operator of the platform. These platforms are good examples of how website operators create the legal rules for using the services they provide and how accurately they try to obey the applicable laws to secure the viability of their business model and to avoid liability for IPR infringement, data breaches, cybersecurity, etc. The EU is counting down to 25 May 2018, which is the day when the General Data Protection Regulation (GDPR)7 comes into force. The key feature of GDPR is extraterritoriality8. Therefore, Ukrainian companies involved in e-commerce and those which build their strategies on aggressive marketing campaigns and tracking customer behaviour may fall under GDPR rules. GDPR provides huge fines: up to 4% of a company’s total worldwide annual turnover for the preceding financial year. So it’s high time to carry out a complex review of internal rules and procedures on data protection and launch new ones. GDPR will also affect the viability of Ukrainian start-ups which expected to collect, store, manage, and use the data of customers in their business models. These start-ups should expect to be GDPR compliant if they expect to raise funds from investors as data will not only become a valuable asset, but also as an element of risk due to liability for data breach. ePrivacy rules are also amended. The current “opt-in — opt-out”9 ruling principle is expected to be followed. The metadata of clients (such as cookies, geo-location data) are used for effective e-marketing. So companies need to follow the principle of legitimate interest and request consent on the application of cookies and personal data processing. — e-commerce becomes a point of interest for antimonopoly authorities. Is there an issue here? E-commerce may be a place containing competition infringements, so EU competition authorities began monitoring the market, revealing bans on selling online, dual pricing, geo-blocking, requirement to have an offline shop, prohibition to sell goods via marketplaces, MFN clause, information exchange. A number of landmark cases have now appeared: Booking case (Germany), Pierre Fabre case (ECJ), Foster case (UK) and the most recently the Coty case (Germany), which became the landmark for luxury brands since ECJ came to the conclusion that “a supplier of luxury goods can prohibit its authorized distributors from selling those goods on a third-party Internet platform such as Amazon”. Meanwhile it was decided to adopt a new regulation on banning geo-blocking for e-commerce10. The reason is observance of the principles of the European single market, both offline and online. However, the issue of geo-blocking is not over in the EU, because the newly-adopted regulation lets companies apply a geo-blocking mechanism for online services involving content protected by copyright. What’s next? There is no doubt that e-commerce will enjoy stable and constant growth due to increasing importance and mostly due to the availability of the Internet, developing markets and approach to running businesses. 4 Decree of the President of Ukraine dated 28.04.2017 “On Imposing Personal Special Economic and Other Restricting Sanctions”. 5 Official statistics presented by Ukrainian Internet Association: http://inau.ua/proekty/doslidzhennya-internet-audytoriyi. 6 Articles 244-249 of the EU-Ukraine Association Agreement: http://eeas.europa.eu/archives/docs/ukraine/pdf/5_ua_title_iv_trade_and_trade-related_matters_en.pdf. 7 Official text of the Regulation: http://eur-lex.europa.eu/legal-content/EN/TXT/?uri=uriserv:OJ.L_.2016.119.01.0001.01.ENG&toc=OJ:L:2016:119:FULL.